RRC Central Railway recruitment 2017: Railway Recruitment Cell, CR Government of India, Ministry of Railway recently, published the official notification for the post of group c in Central Railway. who are interested or eligible candidate can apply online application form from the official website on or before last date. All the Interested candidates must possess the minimum eligible criteria like educational qualification and age limit to apply online application form. In this post you will check all detail related to RRB CR recruitment 2017 like how to apply online, exam date, eligible criteria, selection process, post vacancies detail and official notification details. Central Railway is one of the 16 zones of Indian Railways. Its headquarters is in Mumbai at Chhatrapati Shivaji Terminus. Indian Railway publish railway recruitment notification for all eligible candidates who possess 10th, 12th, post graduation, degree, diploma and relevant qualification have a great opportunity to get government jobs in Central Railway. Hey you will get central Railway recruitment 2017 official notification and how to apply online procedure. Want to Make career in Railay. Here all the eligible candidates have a great opertunoty to get central railway jobs. 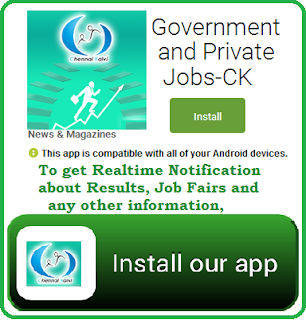 As, this is a official page that will provide you all latest employment notification that will going to publish by RRCCR. So, keep reading and don’t miss any information because this is a question of you Life and railway is giving maximum opportunitiy to all unemployment candidates to get Employment and Make their future. Central Railway, Recently Publish the official employment notification for hiring 12 Eligible candidates for Group C and Group D Posts against Scouts and Guides Quota. All the eligible candidates can apply Online application form from 06-01-2017 to 20-01-2017 from the official website. Here you will get complete detail that you must have to Known before go for Online apply Application form. Salary Per month 5,200Rs/- 20,000Rs/- + GP 1800Rs/-1900Rs/-. Should have attended two events at National Level OR All Indian Railway’s level AND Two events at State level. All the interested candidate must possess 10th, 12th qualification with having minimum 50% marks from recognized by government of India or having higher qualification like graduation degree, post graduation, diploma from a recognized University or Institute by Government of India in relevant field. To check more detail about education qualification, candidates may check official notification that is provided below. Age limit: Applicant must possess 18 year as a minimum age limit criteria and 29 year’s as a maximum age limit criteria for Group C and for Group D Applicant must posses age between 18 to 32 Years. Yes, there is relaxation in upper age limit for reserved category like SC, ST add OBC. All The Eligible Candidate, who successfully selected for RRC CR jobs will get attractive pay scale i.e 5200- 20000 with having grade pay 1900 Rs/- for Group C Posts and 18,00 For Group D posts. Application Fees: 500 Rs/- for general and OBC and Rs 250/- for Economically Backward Classes, SC/ST/Ex-S/ PWD/ Women and Minorities Application Fee. Note application fees is not refundable. If you are not eligible for this jobs and you will applied then, railway recruitment cell, cr is not responsible for that and application fees is not refundable.